Earthquakes have not been releasing energy as fast as the energy has been building up along the Himalayan arc. Meaning that there could be a giant earthquake in the region placing millions at risk. A new study of the 2000 km long Main Himalaya Thrust, the largest earthquake generating fault in the Himalaya, has revealed that large quakes could occur in any location along the Himalayan arc. Unlike in subduction zones, where some patches of the fault are moving, or ‘creeping’ at a constant speed, in the Himalaya we don’t see any creeping patches. This means that the fault is fully ‘locked’, i.e. strain energy is building up most of the time. This energy is released suddenly during earthquakes. Because there are no creeping patches, there are no barriers to rupture, which means once an earthquake has started, it could rupture a very long way along the fault without anything to limit its size. The study shows that the pattern of coupling, i.e. the degree of fault locking, has been stationary with time. From the coupling pattern, the rate of moment build-up can be found. This is how much energy is building up each year, and is also the amount that needs to be released in earthquakes if all the energy is released seismically. Earthquakes have not been releasing energy as fast as the energy has been building up, so we may expect very large earthquakes in this region in the future. Studies of ancient earthquakes have shown that quakes approaching magnitude 9 have occurred previously in both the western and eastern halves of the Himalayas. It is not impossible that these giant earthquakes could occur again. 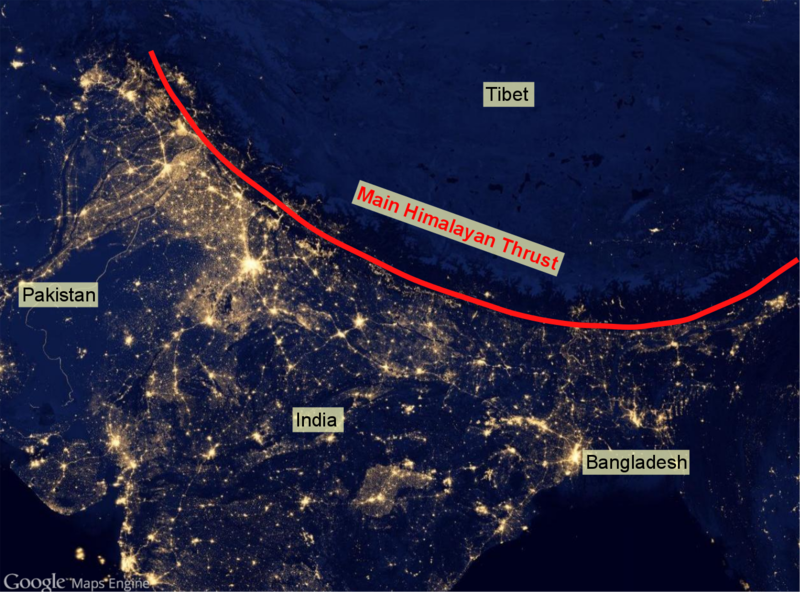 Night lights show large population densities living in the shadows of the Himalaya. This has important implications for seismic hazard in the region. The population living in the Himalayas has increased dramatically in the past few decades, and most buildings are not resistant to large shaking caused by earthquakes. As we saw with the recent devastating April Gorkha-Nepal earthquake, the Himalayan countries prone to earthquakes are not yet prepared to meet all the challenges this natural hazards present. Victoria Stevens is a PhD graduate student at the California Institute of Technology (Caltech). “So long, and thanks for all the fish” … the end of coral reefs? Leading scientist says that even ambitious greenhouse gas reduction targets will not be able to save the world’s coral reefs. Professor Peter Sale from the University of Windsor, Canada claims that coral reefs, as they were 50 years ago, cannot be saved from climate change – even if the climate change talks in December this year (COP21) are “wildly successful”. Professor Sale unveiled the depressing results today at the Goldschmidt conference, a gathering of the world’s top geochemists in Prague. A bleached coral. These events will become more common with global warming. 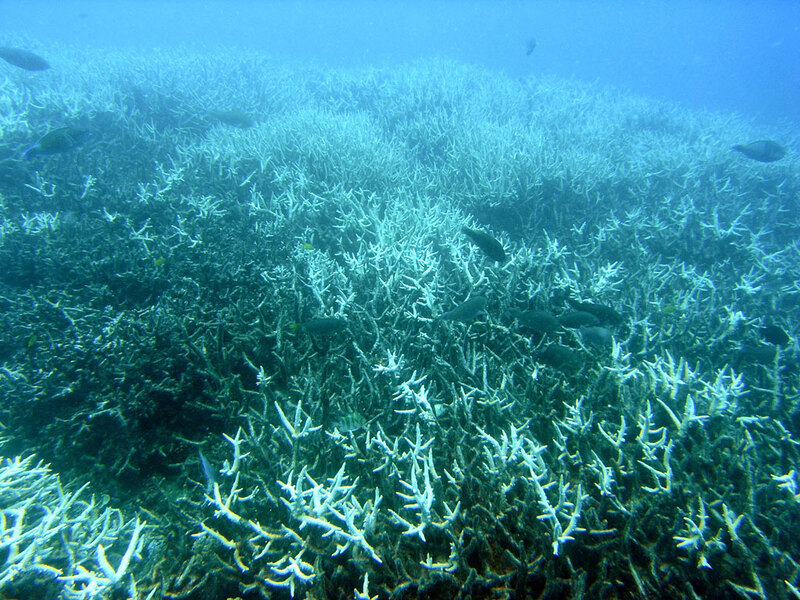 Globally coral reefs are generally found in tropical waters. Not only are they some of the world’s most productive ecosystems they also deliver ecosystem services in tourism, fisheries and coastline protection. The global economic value of coral reefs has been estimated to be US $375 billion per year! While the global policy debate has been about trying to limit global warming to 2 degrees by the end of the century, Professor Sale claims that this won’t be enough to save coral reefs. “Knowing what we are doing, do we have the ethical right to eliminate an entire ecosystem from this planet? It’s never been done before. But watching as our actions lead to the loss of all coral reefs on the planet is like removing all rainforests. I don’t believe we have that right”. Real-time rainfall data can be used to potentially double warning times for rain-triggered lahars on the slopes of Tungurahua Volcano, compared existing ground-based detection methods. Tungurahua volcano is located in the Eastern Cordillera of the Ecuadorian Andes and its current period of eruptive activity has been ongoing since 1999. This intermittent activity has resulted in the deposition of a lot of loose unconsolidated pyroclastic gravel, dust and ash on the slopes of the volcano. 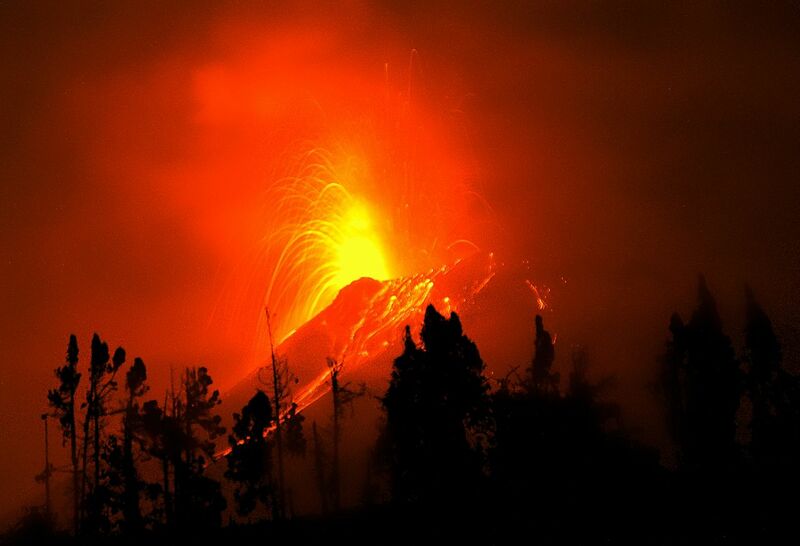 A recent Tungurahua eruption at night. During heavy rainfall, for which this region is renown, this loose material gets mixed into the rain water flowing off the volcano and results in extremely dangerous rain-triggered lahars, or volcanic mudflows. Think flash floods and giant rivers of mud and rock rolled into one. The city of Baños lies approximately 8 km north of the summit of the volcano and is a very popular tourist destination, with its population increasing from approximately 18,000 to around 50,000 during holiday periods. The primary road linking Baños with the Pan-American Highway and other provincial cities crosses several lahar-prone drainages of Tungurahua and these flows pose a significant risk to infrastructure within these valleys. Rain-triggered lahars have not caused any fatalities at Tungurahua but cars have been buried, road crossings inundated and the El Salado Baths (a popular visitor attraction) have nearly been inundated by flows in previous years. An incoming lahar from mount Tungurahua. The volcano is monitored from the Tungurahua Volcano Observatory (OVT), operated by the Instituto Geofisico, Escuela Politécnica Nacional (IGEPN). The primary methods of lahar monitoring are detection by Acoustic Flow Monitors (AFMs), which measure ground vibration as the flow passes and also flow identification by a community-based monitoring system consisting of a network of volunteers known as Vigias. Analysis of both the rainfall and lahar record between March 2012 and June 2013 indicated that peak rainfall intensity can be a key indicator of a potential lahar occurrence. The peak rainfall intensity during a particularly rainy period is used along with previous knowledge of the amount of moisture already in the landscape to estimate the probability that a lahar will exceed a pre-defined flow size. This method was tested using the July-December 2013 lahar and rainfall records and not only did our probabilities effectively predict the occurrence of lahars, but peak estimated lahar probability was consistently reached prior to lahar detection by the Acoustic Flow Monitor network. This probabilistic analysis produced an average of 24 additional minutes of warning time during the test-period. Robert Jones is a PhD research student in the School of Earth and Environment at the University of Leeds. Here’s an example from Ubinas volcano in neighbouring Peru, of the force and destructive power of lahars. Scientists have found a potentially large carbon sink in the most unlikely place on Earth – under the desert. The increase in carbon storage is linked with the rise of farming in arid landscapes. This surprising conclusion comes from work done in the Tarim Basin of western China by Chinese and American scientists. The results are published in the journal Geophysical Research Letters. Li and colleagues measured and dated the carbon content of water samples taken from a salty aquifer beneath the Tarim Basin. They show that the rate at which carbon sunk into the aquifer rose dramatically with the rise of farming and agriculture in the region. Rate of carbon storage increased by more than 12 times previous levels over the past 8000 years with particularly high levels beginning around 2000 years ago when the Silk Road opened. 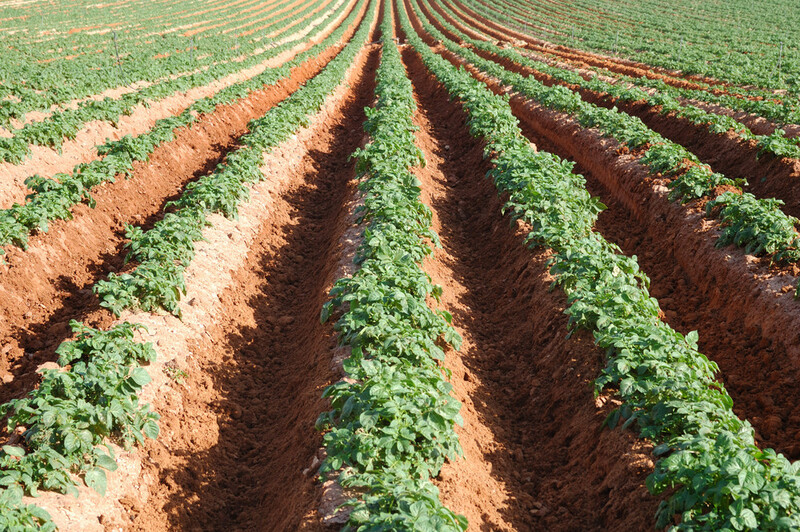 The process began when humans started to grow crops on sandy soil. As the plants take in carbon dioxide from the air, some is released into the sand. Farming in desert conditions requires a lot of water to combat rising salinity caused by rapidly evaporating water. This organic carbon dissolves in the water and is transported down through the sand into deed salty aquifers. Normally these aquifers are tapped by rivers and streams and so the carbon comes back out of storage. But in the Tarim Basin the aquifer is a closed system, meaning that water does not escape, effectively locking away the carbon. Li expects this process to occur in deserts around the globe but the amount of carbon would vary depending on the pH of the soil and the level of farming activity. The results from this study will have important implications for the study of the global carbon cycle as desert regions were previously thought to be unimportant for carbon storage. Will we lose our crops to climate change? With the World’s population now past 7 billion and projected to increase to 9 billion by 2050, stress on the food production system is at an all time high. To make matters worse it appears that our crop yields may fall victim to the effects of climate change. Crop yields to drop by 25 percent towards the second half of the century. Global warming of only 2°C will be detrimental to the production of rice, wheat and maize in temperate and tropical regions, with reduced yields from the 2030s onwards claims a study, published in Nature Climate Change last year, led by the University of Leeds scientists. “Climate change means a less predictable harvest, with different countries winning and losing in different years. The overall picture remains negative, and we are now starting to see how research can support adaptation by avoiding the worse impacts,” says lead author Professor Andy Challinor. The study shows that we will see, on average, an increasingly negative impact of climate change on crop yields from the 2030s onwards. The impact will be greatest in the second half of the century, when decreases of over 25% will become increasingly common. These statistics already account for minor adaptation techniques employed by farmers to mitigate the effects of climate change, such as small adjustments in crop variety and planting date. The IPCC projected temperature increase for the next century. The latest Inter-governmental Panel on Climate Change (IPCC) reports state that the expected temperature increase for the end of the century is somewhere between 1.5 and 4 degree Celsius. And thus, major agricultural transformations and innovations will be needed in order to safeguard crop yields for future generations.